A special treatment for any head of undisciplined hair. Smoothes the hair fibres and detangles. Formulated with Kerasil Complex, Hydrolysed Keratin and Ceramide A2 to restructure and strengthen the hair, it noticeably helps to decreases frizz. Moisture rich smoothing Mask. Lisap Ultimate Plus Mask is a taming treatment that strengthens and detangles straight and frizzy hair, giving you fuller and smoother hair. Formulated with ingredients that restructure the hair and give maximum heat protection. Helps to create ultra-smooth and manageable styles. The Lisap Ultimate Straight fluid Plus is 3 times more concentrated with Hydrolysed Keratin and Ceramide A2. Conditioning shampoo with colour pigments to tone yellow tones in white, bleached, blonde or copper hair. Pigment does not accumulate in the hair allowing Silver Shampoo to be used on a daily basis. Silver Shampoo's non-alkaline formula has a natural conditioning action on bleached, streaked or highlighted hair. Easy C Gloss represents a superior conditioning treatment that nourishes, protects and prolongs the luster and intensity of colour. When used on natural hair, provides shine and delicate reflex tones. Formula protects and moisturises the hair using bran extract . Special colouring pigments brighten colour, give shine and enhance highlights in colour treated hair. When applied to natural hair, Conditioning Color Balm enhances natural highlights whilst improving the hair's condition and natural shine. Conditioning Color Balm protects coloured and natural hair from the effects of UV rays. Perfect for silver hair. Conditioning Color Balm adds a beautiful shine to grey and white hair. This hairspray evaporates instantly creating an excellent finish, natural hold and long lasting effect. Strong Hold Hairspray is ideal for creating volume and finishing your hairstyle.Its strong hold formulation is perfect for all hair styles. For those that know what they want. Extra strong fix gel spray For every day styling. This non-sticky and dry gel creates strong volume support and shine, while it moisturises and protects the hair. Very strong hold fibre modelling paste Use for flexible but strong hold results. Ideal for use with all texturised styles. Moisturises and protects the hair. Creative modelling wax A strong-hold modelling wax for creating definition and shine. Creative Wax- The natural-hold creative wax that gives extreme shine, moisture and nourishment. Does not weigh the hair down, just adds texture to the final result. Temporary Straightener to tame frizzy, curly or permed hair, versatile can be used for either soft effects or poker straight looks. Hair is soft, supple, silky and shiny. Liquid Gloss for instant and long lasting shine. The final touch that gives your hair maximum protection and an immediate gloss. Extra strong hold flexible wax, ideal for creating avant-garde looks and ultra modern styles. 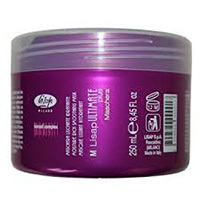 Moisturises and protects the hair structure from external agents. cc cream makes hair light and soft and easy to manage. Gives a beautiful silky feel and great shine. Strong-hold volumiser, use as a working or finishing spray for lasting support and volume. Gives the hair shine and flexible hold. Applied to thin hair, it restructures and provides long-lasting volume without weighing down the hair. Moisturises dull hair and adds shine. Formulated with ingredients to internally strengthen and stabilize the hair, create volume, texture and shine on fine and dull hair. The perfect answer for the modern man who demands the very best. Gives energy and vitality to your hair....every day. Particularly suitable for frequent use, this shampoo delicately cleanses while caring for the scalp. With ginseng extract and soy proteins, it fortifies and protects normal hair from external agents, giving it brilliance and it has an anti-ageing effect. It removes existing dandruff and prevents its re-formation, giving volume and brilliance. This shampoo delicately cleanses and moisturises hair and brings relief to the scalp. 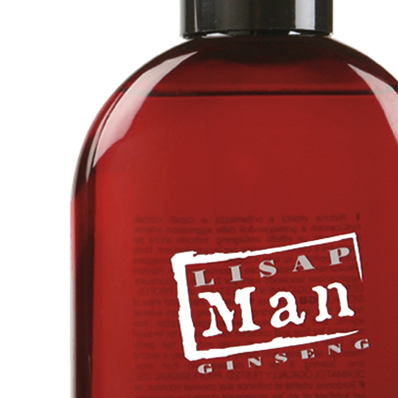 The blend of organic and ginseng extracts has softening and regenerative properties. Perfect to promote control and hold on short and medium-short hair. Ideal for hairstyles requiring strong style definition and shine. This gel has an excellent hold, itdoes not dry out the hair or leave any residue. Highlighting cleanser for white hair/streaks. This is a non-alkaline conditioning cleanser with coloured pigments: it eliminates yellowish reflections from gray and white hair, and reduces excessive yellow or copper sheen on light blonde hair or highlights. This is a special cleansing antidandruff bath with a soothing and antimicrobial action. It helps eliminate dandruff and soothe irritations of the scalp. It’s a special antidandruff treatment. When used on a regular basis, it eliminates dandruff, and leaves the hair shiny and soft. This special cleanser eliminates dandruff and if used on a regular basis, it prevents its formation. It restores the natural vitality and shine of the hair. It soothes itchiness and irritations, eliminates any type of dandruff.